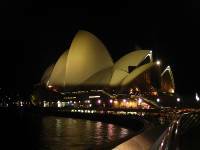 Blog from Sydney, New South Wales | Margaret in Wonderlands..
We got dropped off at Sydney Central station and this was Tuesday 30th Nov, I was really excited to see my uncle, aunt and cousins. I was also looking forward to some home comforts after traveling down the coast. I caught a train to Lidcombe and walked to my uncles house. They were both there so I spent the day catching up with them and telling them my news. I was excited as my parents and Katie were coming the following day and they were not expecting me to be there (they thought I was coming a few days later,hee hee) My uncle and I thought we would wind them up a bit more and say I had delayed it by another week. So I hid when they eventually got through security etc. I think they got a surprise when I burst out and met them heehee. Anyway over the 4 weeks they were here we did a lot of sight seeing. We went to Darling Habour-Aquarium, Opera House, Habour Bridge, Botanic Gardens the beaches of Bondi and Manly, they went to Taronga Zoo. We strolled around George Street where they have all the shops. We also visited Port Stephens which was 3 hours north of Sydney and stayed up there for the night. We were sitting on the beach just chatting when out of the corner of my eye i spotted a fin not far from the shore. I freaked out (in a good way) I could not believe how close it was, really COOL! We watched for a bit to spot them again and we spotted a few more fins further out.I think they were dolphins. There are lots of tours for whale and dolphin spotting out there. We went to Kiama which was 1hour south of Sydney and my uncle has a holiday home there. We did a walk to the lighthouse and blowhole on the first day and went out for some dinner. The next day we went to the 7 mile beach and took a walk on the beach. Later that evening we had a BBQ on the green near the beach which was awesome and I was happy my parents were there to experience it. My cousin Geraldine treated Katie and I to a lovely Christmas present of a pampering session. It was a 30 minute foot scrub session, 40 min de-stress massage and then a 50 minute massage consisting of Swedish and Thai massages. We did that then we went to the IVY which was a lush bar and had a brilliant top roof pool. Since my parents have left I have been to Coogee with Hannah and Karl. I have spent some time researching for NZ and planning that with Jess and Gez. For NYE I had no idea what I was doing and was waiting to see what my friends were doing. On the morning I waited for a few hours but I knew some people were heading up there early.. like 7am and 10am so I was getting a bit worried that I would miss out. My plan was to watch the 9pm fireworks and then head to Newtown to join Geraldine and the girls for the rest of the bar crawl. I decided to head and meet Ginny and her friends but when I got to Mrs McQuaries chair they had already got in as they had been there for hours. I saw the queues and was not keen to wait on my own for that time so as terrible as I am I spotted a moment to push in part of the queue and I took it. I queued for a little while but then met Ginny and her friends. It was cool and I could see down onto the habour through the trees so I was happy. Danny then called me and said he thought he might have a space on the boat for me so after some delibaration and speaking to Geraldine to make sure she was ok with it I headed off for the boat trip. It was crazy really as it was an amazing offer. I met Danny and we got the alcohol and headed to Taronga Zoo to get on the boat. It was a bit of a crazy journey and we almost missed the boat as we had to walk, then bus it and taxi and walk again to the dock and it was bloody hot but we made it for 7pm and it was well worth it. We met Danny's mates and went on the little boat to the bigger boat. There was a good crowd on there consisting of Welsh, northern Irish and Welsh. I drunk a few bottles of wine and got pretty pissed. It was an amazing spot to be in Sydney on NYE and we could clearly see the bridge and Opera house and see across to the north shores. It felt very surreal to be on the boat. The fireworks at 9pm and 12pm were truely amazing and it was one of the highlights of my year to be on the boat on Sydney habour and watch the skies light up above me. I could see at least 5 or 6 going off simultaneously and it was spectacular..one set over the north shores, one near the opera house, another over the bridge and another set near Luna park further up the habour..the colours of the fireworks varied from pinks to reds to blues. There were also symbols on the bridge, smiley faces, a hand, the peace sign and more. The finale ended up with the bridge being set alight. When it all quietened down I kinda expected another last minute set to go off but that was it.. I missed the Auld lang syne which I normally do with friends and family so I gave a little sing to it myself :) We then continued the drinking :) About 2ish we got off the boat and made the long trek home. Thanfully buses and trains were still running so we caught the bus, train then walked home. I got home about 4ish and sat up chatting to Geraldine. I eventually went to bed at 6am when it was light. I rang my parents and Martina and Rob at 11am when I woke up on new years day to wish them all a happy new year. That day was a scorcher over here but I was wrecked from NYE so me, Geraldine and Mark sat in and watched Tangle, an Australian series for a few hours. It was a VERY lazy day when I should of sat in the garden and tried to get my tan back which is fading fast :) Boo hoo but I guess I will have other opportunities for that. The next day I was delighted to receive a message from Sam to ask me to be her Maid of Honour for her wedding in August in Lake Garda. I am majorly excited as not only have I never been a MOH but I have never been a bridemaid so I am chuffed to be involved. So I will be off to Italy only 2 months after this trip :) After screeching and being all exicted to Geraldine and Jess we headed for Pub Cha which is just like Dim Sum and it was yummy. We then headed to Clovelly but the weather turned a bit windy and sour so we only stayed for an hour then headed to a cafe. 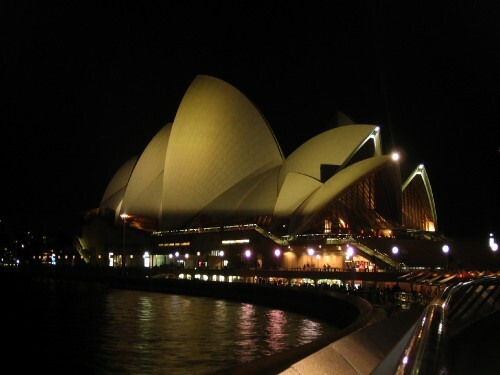 So here I am on my 6 days in Sydney. Got a few things planned this week and hope to see some friends and have a couple of nights out before I head off. I plan to head to Melbourne on Saturday or Sunday night. Spend a night or two then head to Tasmania for 4 nights, back to Melbourne and do some trips i.e. Great Ocean Road, Neighbours, Philip Island and also celebrate Australia day on the 26th Jan. I then head to Fiji on the 28th Jan so exciting times are ahead.